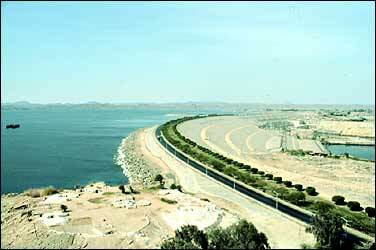 The High Dam is located in the south of City Aswan (Egypt). It was started in 1960 and was inaugurated in 1970. The embankment is 111m high with a width of near 1000m. Dam exploit the water of the Nile.